Breakthrough Golf uses a scientifically advanced multi‑material design with new geometries never used in putter shaft design before. 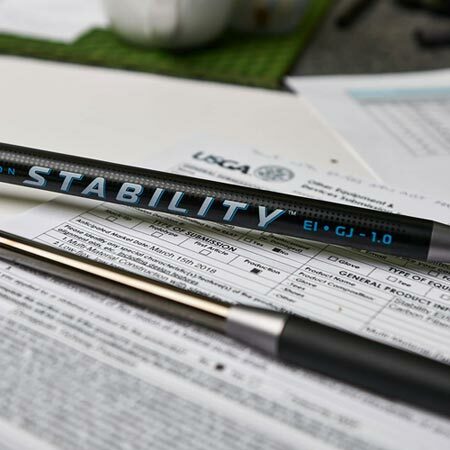 A shaft that has the same look, solid feel and weight as traditional steel putter shaft. Designed to improve any golfers game. The Stability shaft delivers the face squarer at impact for improved accuracy and solid feel and has a lower launch for a predictable roll, resulting in better distance control. A perfect synergy of technology and materials to improve putting performance. 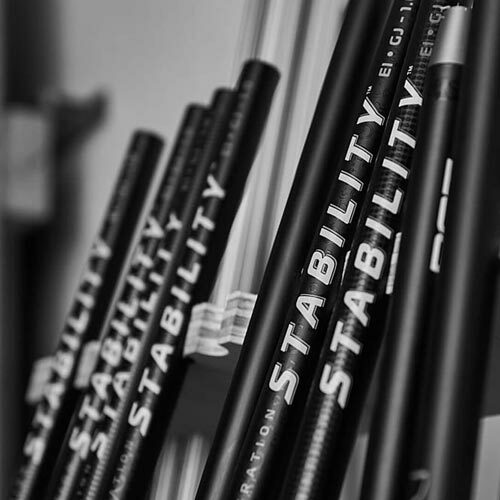 There are four parts of the Stability shaft that work in concert to greatly improve putting performance. We call this Advanced Materials Integration. Breakthrough Golf uses a scientifically advanced multi-material design with new geometries never used in putter shaft design before. 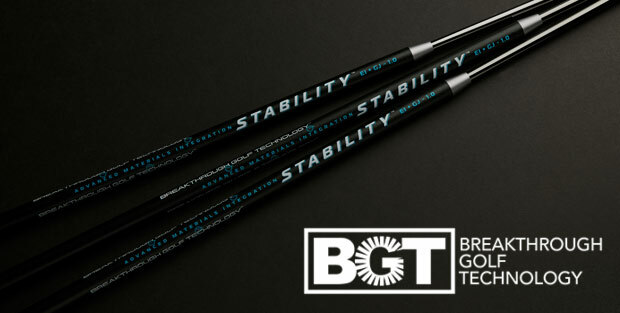 A shaft that has the same look, solid feel and weight as traditional steel putter shafts. 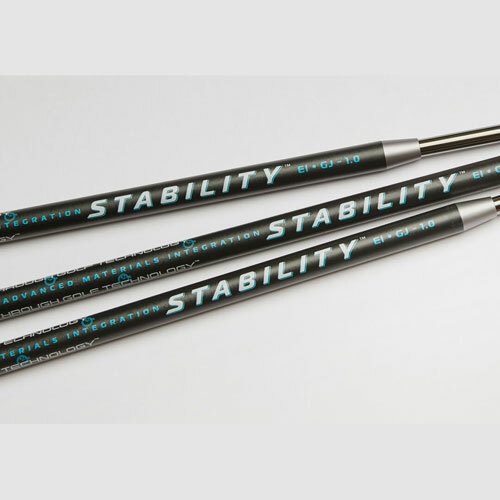 The Stability Shaft delivers the face squarer at impact for improved accuracy and solid feel and has a lower launch for a predictable roll, resulting in better distance control. • Eight layers of high modulus carbon fiber specifically layered, wrapped and widened, with a no‑taper design to greatly reduce torque. • Through finite element analysis a light‑weight, 22‑gram aluminum insert was developed and precisely located to reinforce flexural rigidity. • A 7075 aluminum connector helps to reinforce. This versatility allows attachment to any tip diameter of any putter, regardless of the bend profile. • The stainless steel tips have extremely consistent wall thicknesses and are coated with a smoke PVD finish to add further protection from corrosion and rusting.